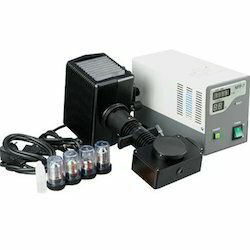 Importer of a wide range of products which include epi fluorescence kit, lomo phase contrast microscope set, microscope coupler and fiber optic illuminator. With sincere intentions to preserve and uplift our reputation in the market, we bring forth a distinguished assortment of EPI Fluorescence Kit that is procured from the well-renowned and authentic vendors of the market. Keeping in mind the diverse requirements of our clients, we provide the entire range in various sizes and other related specifications at affordable prices. Our company is the major in offering LOMO Phase Contrast Microscope Set to the clients. This product is highly admired for excellent quality and performance. Phase Contrast Microscope is having phase contrast which is used to study true microscopic sized plants and cells. This product is manufactured by skilled professionals using excellent quality components and upgraded technology as per the quality standards. 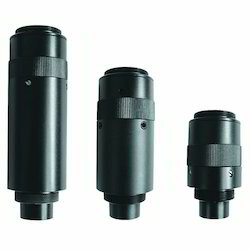 In line with clients' diverse requirements across the country, we are offering an excellent range of Microscope Coupler that is sourced from the leading and prestigious vendors of the market. Being a quality-oriented organization, we assure our clients that the offered couplers are excellent on counts of durability and quality. 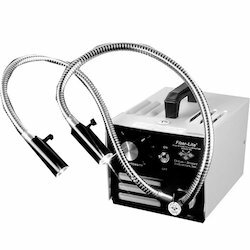 Being perfectly shaped and swift movement of our organization, we are instrumental in offering a qualitative range of Fiber Optic illuminator that is ideal to be fitted in the microscope. This offered illuminator is designed by our professionals in compliance with industry quality standards. Moreover, this illuminator is tested on various stringent parameters to ensure its durability and quality. 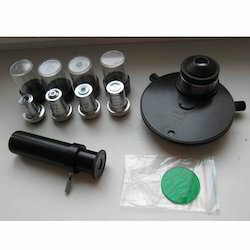 Looking for Microscope Accessories ?